The previous two shorts are both live-action and directed by Luke “Son-of-Ridley-though-a-promising-sci-fi-filmmaker-in-his-own-right” Scott (Morgan, Loom, a bunch of Alien: Covenant prequel shorts). This one, Blade Runner Black Out 2022, takes a different approach, dropping a 15-minute anime blast from Cowboy Bebop mastermind Shinichiro Watanabe, along with a score from Flying Lotus. The result is frankly gorgeous. Using animation lets the filmmaker to go much bigger than in the others. It captures the scope and scale of the world, allows for more action and epic, sweeping shots, and feels like more than just a flashback scene cut from the movie, like the others. 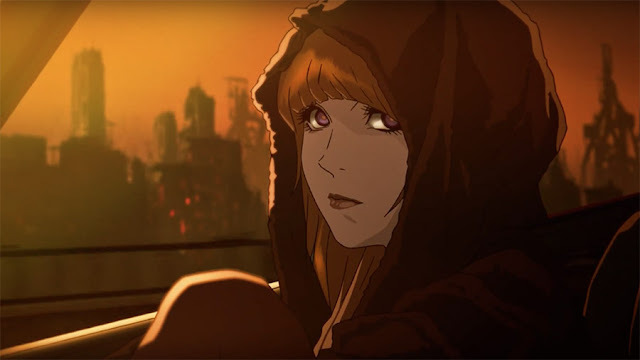 Since Blade Runner takes place in 2019, and Blade Runner 2049 obviously goes down in 2049, there are 30 years of backstory to fill in, which is what these shorts aim to do. I don’t know how much, if any of this information we’ll need to know for the new movie, but it helps fill in the blanks. Though again, I fear there may be some spoiler material included. 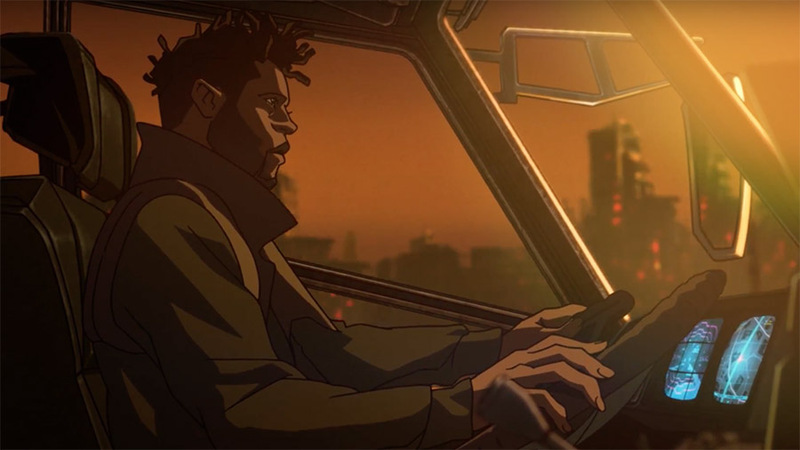 The other shorts hint at the events of Black Out 2022, but this video dramatizes them and lets us bear witness. We see what society becomes, and watch the radicalized Replicants unleash an EMP to wipe out records so they can live hidden among humans. This leads to the fall of the Tyrell Corporation, which opens the door for the Wallace Corp, led by Jared Leto’s character, to take over the Replicant business, among others, in the new film. Whether or not these events play a direct role in Blade Runner 2049, the ramifications will certainly be felt. Blade Runner 2049 hits theaters on October 6 in just over a week. Like I said, the first reactions hit this morning, and damn, people appear to love this. Not to get lost in hyperbole, folks are tossing around serious praise. So I’m going to spend the next week-plus avoiding spoilers and trying not to get my hopes up too high.